Azaleas and Rhododendrons are both gorgeous flowers that I've always found difficult to tell apart. These beautiful shrubs or small trees are both members of the Rhododendron family, which confuses me even more. 1. Rhododendron flowers have 10 or more stamens, while Azaleas just five. 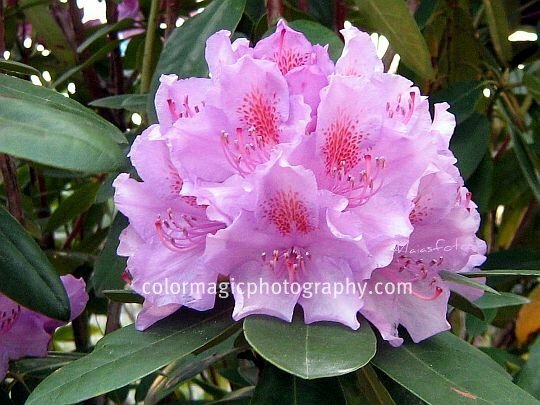 Than this pink-lavender flower in the picture is a Rhododendron. 2. 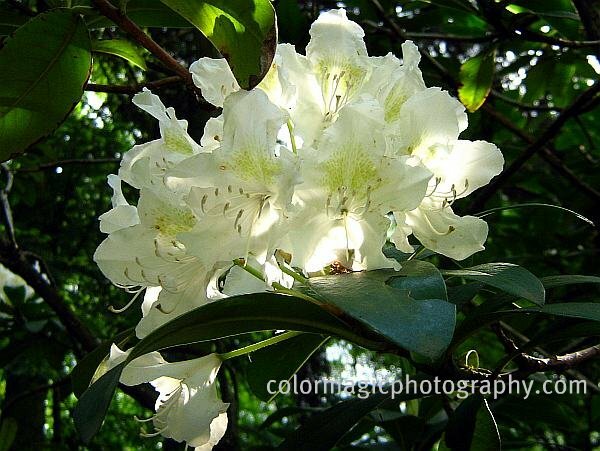 Also Azaleas usually have just one flower per stem while rhododendrons have their flowers in clusters. This white-pink beauty must be an Azalea. In the next picture, these are the flowers of a white rhododendron tree. 3. 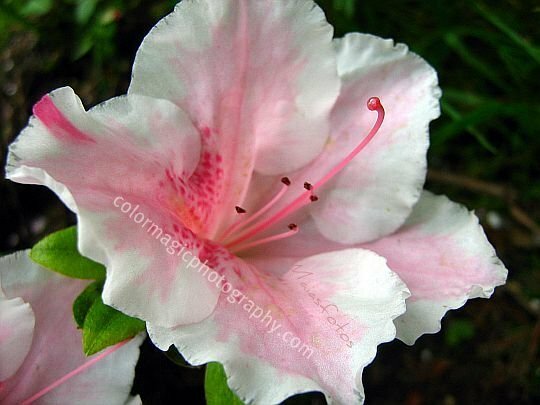 Another difference between Azaleas and Rhododendrons can be observed on their leaves. Rhododendrons have glossy, leathery leaves while some Azalea leaves are thinner, hairy and more pointed. These two beautiful shrubs have different light requirements as well: Azaleas love full sun unlike rhododendrons which prefer full shade. This lovely pink magenta flower is a Cranesbill geranium-Geranium macrorrhizum. 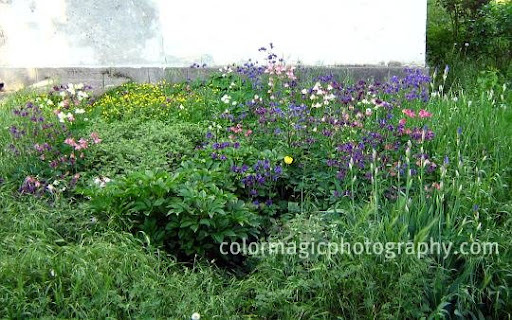 Though it's a wild geranium in Europe, it is widely cultivated as an ornamental plant for gardens. 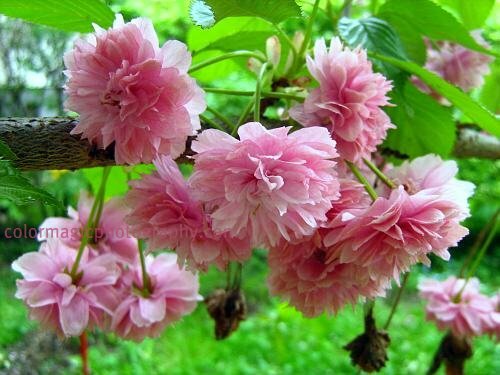 In early summer, it bears deep magenta or white blooms with very long, red stamens. As you can see, bees love them too. 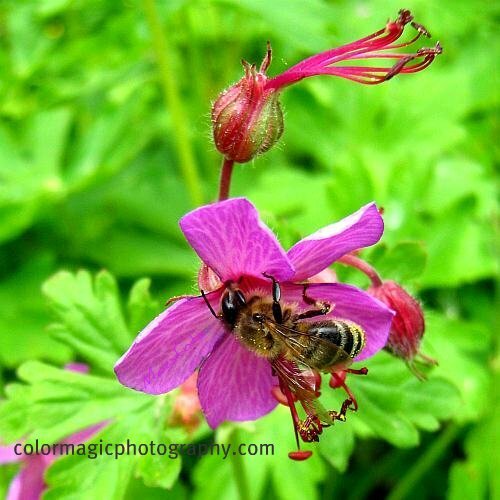 This hardy perennial geranium spreads by rhizomes and forms large colonies. It is a low-maintenance but showy ground cover, appreciated in many gardens. Its scented, lobed leaves turn red in autumn. 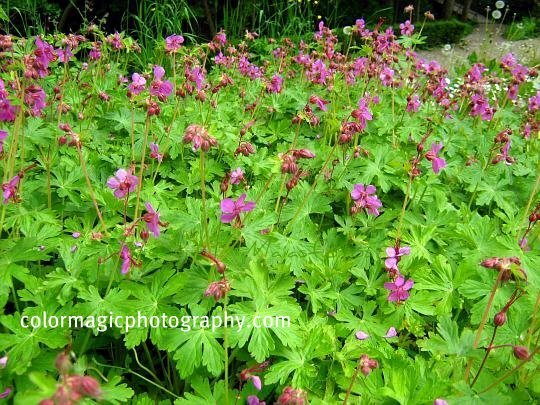 Cranesbill geranium thrives on sunny spots but it can take part shade as well. Related hardy geraniums like the Dove's foot Cranesbill and Geranium phaeum have beautiful flowers as well. See also a beautiful pink garden geranium macro. Check out Macro Flowers Saturday list for this week, (closed now). 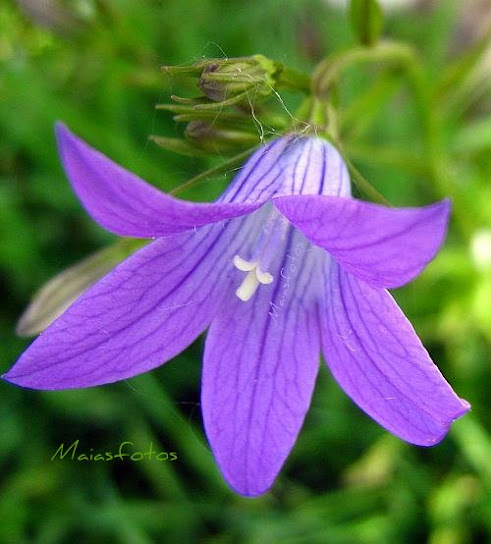 This delicate, purplish blue wildflower is the Campanula patula or spreading bellflower. It is a biennial plant occurring in meadows and pastures throughout much of Europe and parts of Asia. Campanula patula can be 50-60 cm high bearing very thin lateral branches with upright, funnel shaped flowers at their end. Unlike other bellflowers, spreading bellflower has more separate, spread out and pointed petals. That's where its name comes from. The leaves are narrow and pointed, blended in the surrounding vegetation. 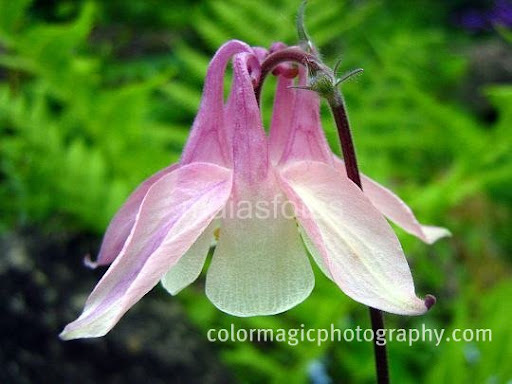 In some areas, this species of bellflower is considered endangered, it is not easy to find this plant in the wild. It is even harder to take a photo of it, as its very thin branches are carried by the slightest breeze. Welcome back to Macro Flowers Saturday! 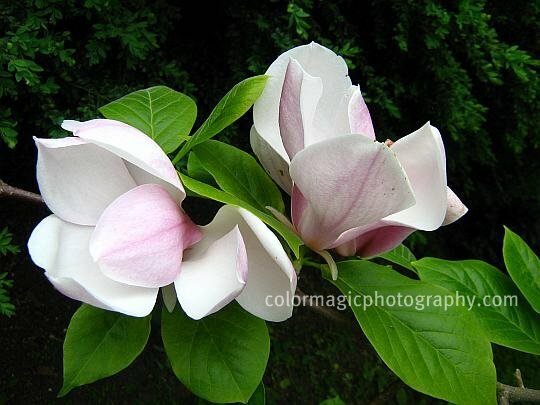 Long time no see, hope you have a large collection of beautiful flower photos. Yes, you are at the right blog; I added two more words to the blog title mostly for technical reasons but also to add more interest to the content. I took many wildflower photos lately and some of them are prettier than many garden flower. 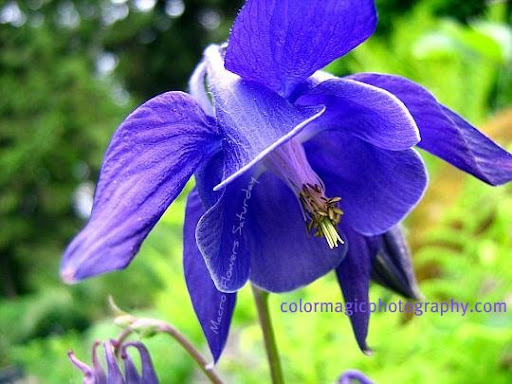 Here is the Columbine-Aquilegia vulgaris! Are you saying that it's a garden flowers? I thought so too but I take photos everywhere and I discovered that the most beautiful Columbines are found in wastelands and neglected backyards (see the last photo). In folklore, carrying a nosegay of it was said to arouse the affections of a loved one. After four month of antibiotics I've suspended my treatment for Lyme disease, to rebuild my immune system and cure the damages of the drug. One of the med's side effects is high photo sensibility, so I'm not allowed to stay in the sun, not for even a few minutes. I have (had) healthy pigments and I didn't believe my skin could be affected, until one day I got home with a nasty skin burn, guess where? - on the backside of my ears as my hair is very short. Last Thursday we had an overcast day, so I went to the botanical garden to stay on the fresh air for a few hours and take some photos. Two days later I found another tick on my leg, in the shower. I can't describe what I was feeling when I realized that yes, this is another thick bite. Probably I brought it home on my clothes. I took it off and put it in a jar and guess what; the little beast escaped from the jar. I even took a few macros of it but they don't fit into this page here. Now the tick is here, somewhere in the house and I'm expecting the third tick bite. There were large groups of school children visiting the gardens, I hope not everyone got such a souvenir to take home. Next day I rushed to the doctor and she put me back to 10 days more antibiotics, like it would make any difference after the earlier 120 days treatment. After all this I decided to live my life as normally as I can and that includes restarting MFS too. Crying all they long won't be at any help. 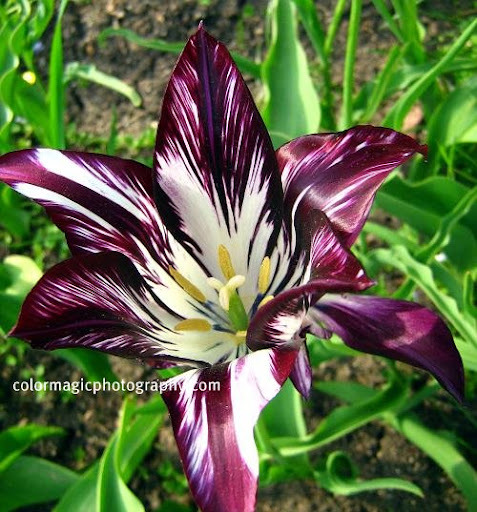 Newcomers, you have all necessary info on Macro Flowers page (from the main navigation). Macro flowers Saturday will be back this weekend, at the usual time! I missed you and your beautiful pictures so much. 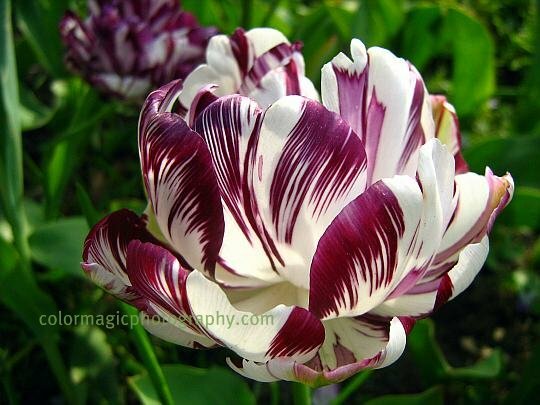 You are all welcome and expected to share your many beautiful flower pictures, sure you have lots of them now, in early summer. 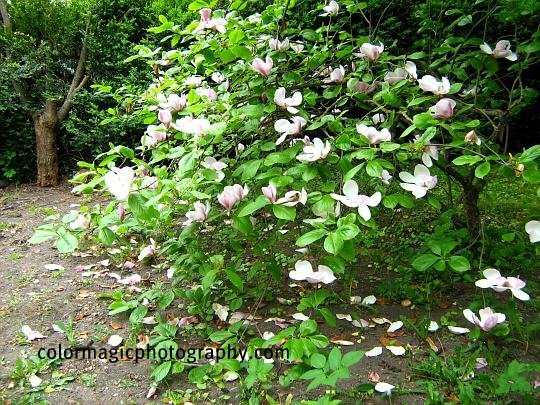 This is a small Saucer Magnolia tree-Magnolia Soulangiana, with many of its branches broken by the wind. It still has amazing dinner plate sized blossoms, the biggest I've ever seen. These voluptuous, purple-pink, cup-shaped flowers are the last ones, opening in mid-May. 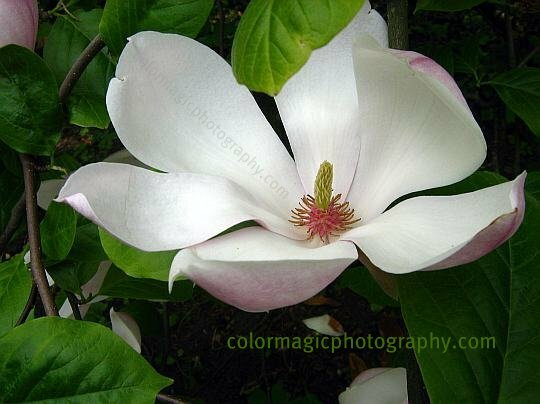 The inner part of the petals are pure white. 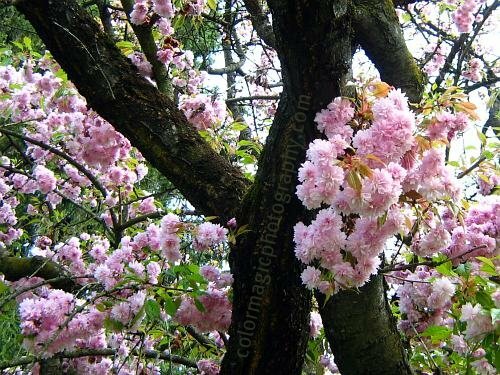 It still has many unopened buds that will delight the viewers till end May. 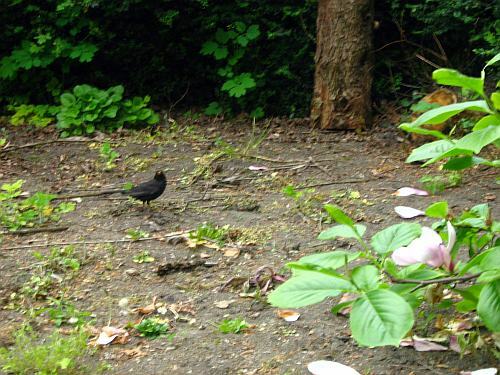 The next picture is poor quality but there is a little mail blackbird (Turdus merula) on the ground, left to the magnolia branches. It flies away when I raise my hands with the camera but it keeps coming back, all the time. I thought it's just flirting with me to take a picture of its striking orange bill contrasting the black plumage. Than I saw the female, up in the big tree, near the magnolia. Her feathers are mainly brown, not so beautiful as the mail's. Again, I was so naive; its not about posing for me, I've violated their breeding ground. Blackbirds are known to be very territorial, so I'll leave them to do what they have to do. I might be lucky to listen to their rich melodious song, instead of these threat sounds. 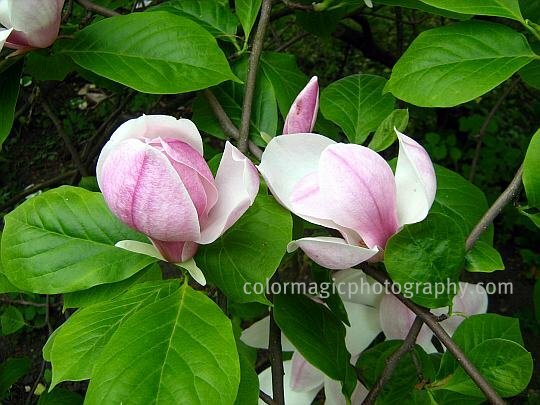 See also some early blooming magnolias! 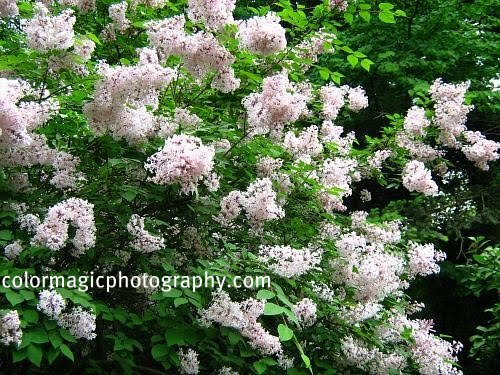 The most inspiring flower in May is the lilac - Syringa vulgaris, the flower of love. 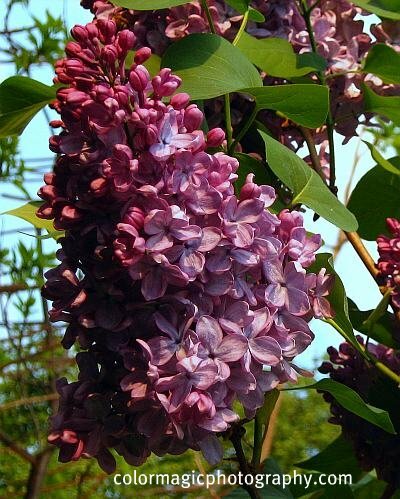 They are one of my favorite spring flowers and I can't imagine a garden without lilacs. These small, flowering trees or shrubs fill the air and the yard with their pleasant fragrance in late spring and early summer. 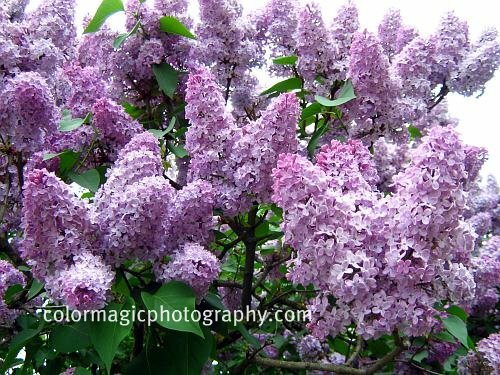 In all times lilacs inspired the imagination of artist, poets and song writers, in their endeavor to depict the essence of spring and romance. 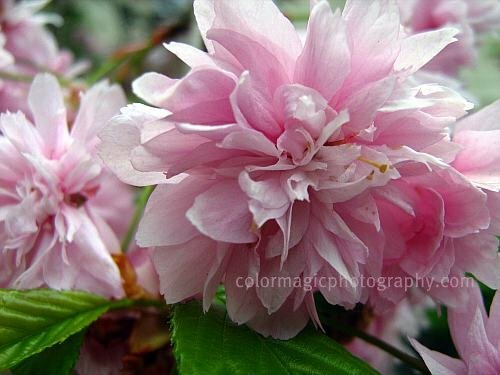 Their large panicles of flowers in all shades of purple, white, dark burgundy, pale yellow, pink and lilac of course, are springtime delight. 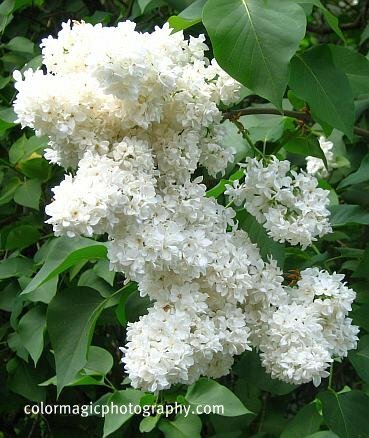 These, in the pictures are common lilacs. The next one is a wild lilac with pale pink flowers. According to the language of flowers (floriography) the meaning of purple lilac is first emotion of love and white lilacs symbolize youthful innocence, memories. Here are two lilac branches, one with a lovely, dark burgundy flower, the other with white lilac flowers. 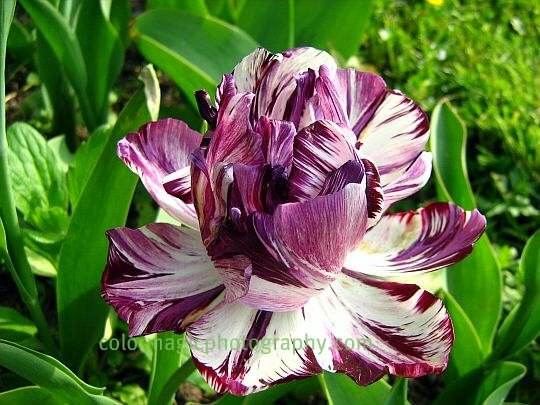 These late spring blooming tulips, with deep purple and white marveled petals are the last ones of the season. So late in May, they are still beautiful. I photographed them yesterday after waiting several minutes for the wind to slow down and stop swaying their delicate heads. Or were they waving to say: see you next spring!